Blackjack is one of the oldest and most famous casino games in the world. Also referred to as 21, Twenty-one, Vingt-et-un (French for Twenty-one) and Pontoon (in Australia); the popularity of this game is heavily related to its simplicity and fast pace. In most casinos, blackjack players play against a dealer and the player’s objective is to get a hand higher than the dealer without going over 21. Over time, the classic game of blackjack has spurred many variations including but not limited to: Perfect Pairs, Super 21, Pontoon, Vegas Strip, European Rules, etc. 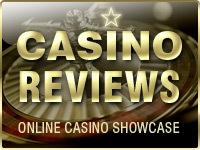 Online Casino Showcase is proud to have done the research for you to present you with as many of these awesome Blackjack variations from the best Online Casinos on the Internet today. Below you find a few of the available game variations. Want to play more? Just click on one of the casinos on the left! 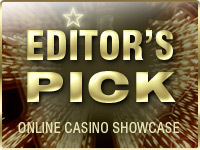 Which casino offers the best Blackjack Games online? Where can I find the high stake live Blackjack tables? Are software games still available to play online? Can US players play Blackjack online legally? VIP Live Blackjack aims to recreate the experience of playing in the VIP pit of a land-based casino. Just like its brick-and-mortar counterpart, Live VIP tables often have high wagering limits ($500-1,000 per hand), standard 3:2 payouts and good rules. The tables are usually open for around 7 players at a time, but some Live Dealer game providers might offer more seats. The exact wager limits will depend on the casino offering the tables, while the games will be hosted by a professional dealer who uses a shoe to deal the cards, rather than a machine. In most games, the dealer stands on all 17s and offers insurance and you can make the popular 21+3 and Perfect Pairs side bets as well. This is the virtual counterpart of the single-deck game with 3:2 payouts and fairly liberal rules that has almost entirely disappeared from land-based casinos. In the online world, the game retains the same payouts and Vegas rules table, but the difference is that the cards will be determined by a Random Number Generator instead of a shuffling machine. The rules can differ from one software provider to another, although, in general, most single-deck games will have the dealer hit on soft 17 and allow doubling down on hands 9-11 and splitting hands, including aces, but there won’t be re-splitting cards. Insurance is also offered at 2:1. Like the name implies, in Multi-Hand Blackjack you can play several hands at the same time while placing individual bets on each hand. The game starts by picking the number of hands you want to play (a single-hand is also allowed), being dealt each hand, and then making your move, right to left, for each hand. Depending on the variant, you may play from 3 to 5 hands at a time. The rules are mostly similar between different games and allow for doubling down on hands 9-11 and after splitting. The dealer will also stand on Soft 17s and peek for Blackjack in most online versions of the game. Double Exposure Blackjack is a variant where the dealer’s both cards are dealt up, rather than having one facing down. Thus, there is no peeking for Blackjack. The game is mostly played with 6 decks and follows standard Vegas rules like dealer standing on Soft 17 and doubling down on hands 9-11 and after splitting. However, to counteract for the advantage of seeing your dealer’s cards, in Double Exposure all payouts will be usually lowered to 1:1, which makes it a much less profitable option. On the other hand, there are both single hand and multi-hand variants available among today’s online offer. The classic Vegas game as can be found on the Strip. Unlike Vegas Downtown Blackjack, the Strip version is mostly played with more decks (usually 4) and has the dealer stand on all 17s and up and hit on any lower hand. And the biggest difference between online Strip Blackjack and land-based tables is that online casinos haven’t swapped their payouts to 6:5. The rules of the game say that you can double down on any hand, double after splitting, and split up to 4 hands. Aces can be split but not re-split, and any two 10-cards are considered a pair in this variation. The dealer also peeks for blackjack, so keep this in mind. Atlantic City rules is one of the most advantageous Blackjack variants thanks to its liberal rules that take the house edge down to approximately 0.35%. The game is usually played with 8 decks of cards, and just like the Vegas Strip game, here the dealer stands on all 17s and peeks for Blackjack on 10 or Ace cards. In Atlantic City you can split any pair up to three times (4 hands), except for aces, which you can only split once. Doubling rules state that you can double down on any hands you want and even after splitting hands. In short, you’ll rarely find other games that are so advantageous to the player. Blackjack Party is the online equivalent of the party pits you might have seen in traditional casino resorts. In the land-based sector, party pits are pits hosted by several dealers with entertaining music and dancers in the background to pump up the atmosphere. In the online world, the only difference is that you have 2-5 dealers working the table, no dancers in the background, and much better rules. Online Blackjack Party games retain the standard 3:2 payouts and have the dealer stand on all 17s, which is great, while the bet sizes are usually set lower. Doubling down is allowed, although only on the first hand, and the 21+3 and Perfect Pairs bets are often also included in the offer. Any other rules, however, depend on the software provider of the game. All payouts except Pontoons and 5-card hands are paid 1:1. You should also note that all the dealer’s cards are dealt face down, while player’s cards are dealt face up. Blackjack Switch – In this new variation of the game the names give it away … you can SWITCH cards. And actually it is quite some fun playing this version. Instead of being dealt one hand you will receive two cards for each hand. Now the switch part means you are able to swap the top cards of both hands with another. So double the chance and in fact you can even adjust the top-cards when not happy with what you have received. One thing to bear in mind when playing Switch… double the fun can be double the risk as well! A dealers 22 will push against all hands with 21 or less of the player! First maker sure to choose the right casino that offer the Blackjack games you’d like to play (pay attention to the live dealers section) before registering a players account. Fill in all your details as requested from the beginning. 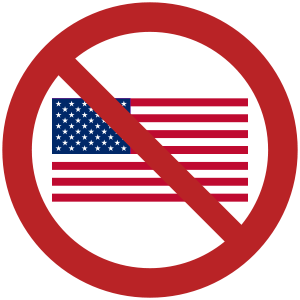 (Don’t take the risk of your account being blocked for providing false information). go to the cashier and select the deposit option of your choice to top-up your players-account. In case you are attracted to a bonus make sure you follow the right procedures for obtaining a bonus when you’re making your deposit. Avoid any surprises and go over Terms and Conditions before any bets are placed at the Blackjack tables. 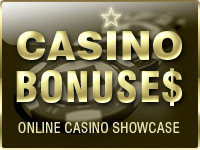 As some casinos exclude Blackjack form the bonus conditions. Ready and all signed up to get started? Go challenge those live dealers at the Blackjack tables and show them your skills. Prefer to play on your own and with software games? 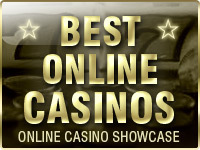 No problem as there are tons available online and even casino games where you can play with serious high stakes!